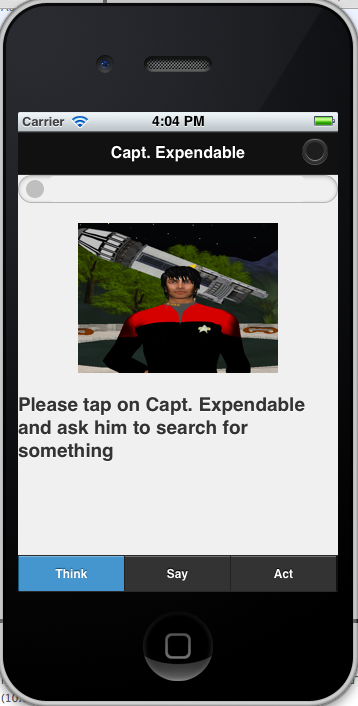 Ok, here is the first glimpse of Capt Expendable for the iPhone. There is no speech recognition yet. Which naturally leads one to contemplate the future. There are a few choices for consider: 1, that speech will eventually be embedded in Xcode; 2, the Nuance development kit is available; 3, find an open source project such as OpenEar. For now, here is the screenshot of the simulator. Eventually, there will be a how-to for installing everything on a Mac.